When only pure, absolute performance is demanded, the best riders in the world choose the S-Works Tarmac. That’s because it features an impeccable S-Works FACT 11r carbon fibre construction that’s unbelievably light, stiff, and reactive. In other words, it’s purpose-built to be a true all-’round race bike, which is no accident. In fact, it comes as a result of our Rider-First EngineeredÜ¢ design that applies specificity to every tube size and carbon layup for every frame size. This creates the optimal balance of rigidity, weight, and responsiveness, so every frame, regardless of size, performs just as we intended. And if you need proof, just look at the Tarmac’s trophy case, with wins in every Grand Tour and the last two World Championships. 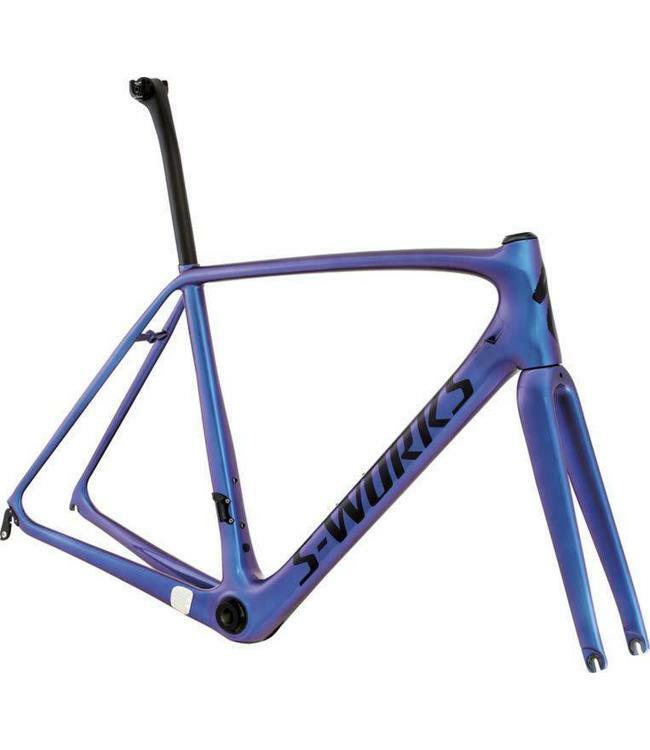 And with the S-Works Tarmac Frameset, you can start building up your dream bike exactly how you’ve always wanted it. Featuring our Rider-First Engineered design that ensures every frame size has the same legendary climbing responsiveness and descending prowess you’d expect from a Tarmac. The S-Works FACT 11r frameset is our highest quality carbon frame, offering the ideal blend of light overall weight and targeted stiffness.